Private label foods manufactured in Australian HACCP certified premises. Try some of our proven brands with your own brand label. 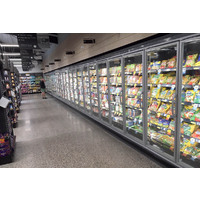 The use of market proven brands as private label foods gives retailers a leading edge. Marketing and establishing a new brand without the teething troubles that most new food products have is a big development time saver. Established food products let you confidently give your customers a new product under your brand that will not embarrass you. It can also show your brand as a well-rounded supplier with a larger product range. Opera Foods are long established private label food manufacturers that will get you started promptly. Opera Foods have been manufacturing, importing and distributing gourmet & organic food products in Australia for many years. Our group has previously taken 3 gold medals at the international Great Taste Awards UK in two different brands. Those results demonstrate skills in taste, quality control food presentation, and marketing. 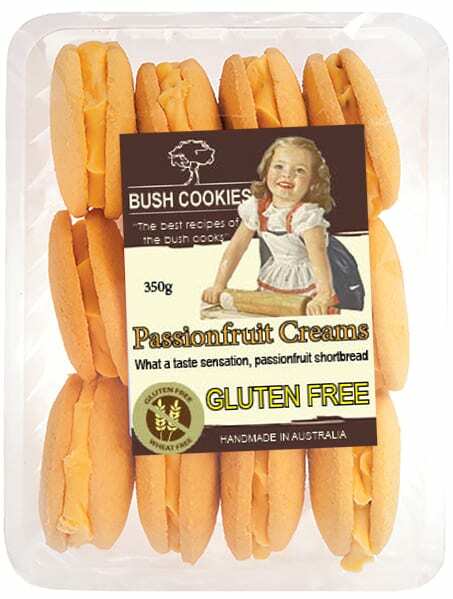 Our Bush Cookies brand offers private label cookies that have been market tested and proven. Our handmade gourmet biscuits are deliberately packed in simple see-through packaging to show the consumer the product. They are ideal for gourmet grocers, delicatessens, convenience stores and independent supermarket chains who want a unique and different product. Whilst they do become well-loved and sought out by customers, these cookies are a unique brand not available to the major supermarket chains. Why not start with a mixed pallet load of our 4 most popular flavours with your brand labels. We could also make them as clean skin products for you to label. Our Finom brand lavosh crackers are also available with your labels. Or unlabelled, from as little as 20 cartons. Finom gourmet lavosh cracker biscuits are great for functions with dips and on cheese platters. They are also great as a snack food on their own. 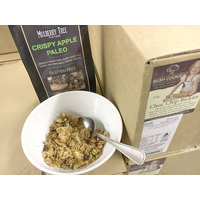 Our MulberryTree brand is already popular as a private label granola manufacturer. Their Roasted Almond Crunch is a popular crunchy gourmet granola that is well loved for Acai bowls and smoothie bowls. 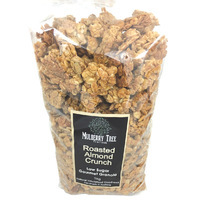 Roasted Almond Crunch is available as a private label granola in either 500g consumer size packs, 1kg cafe size packs or in bulk catering packs. Choose your label, choose your packaging your pack size, but do get the good stuff. Mulberry Tree also has paleo and gluten free styles as well as Bircher muesli. If you need your own recipe made up, then that is also an option. Through our Plum Foods brand, we are private label organic food manufacturers for organic breakfast cereals. Plum Foods produces organic rolled oats for porridge. Also, crunchy granola, paleo granola and gluten free granola as well as Bircher muesli products that are majority organic ingredients by volume. Plum Foods also offers private label organic wholemeal wheat flour. 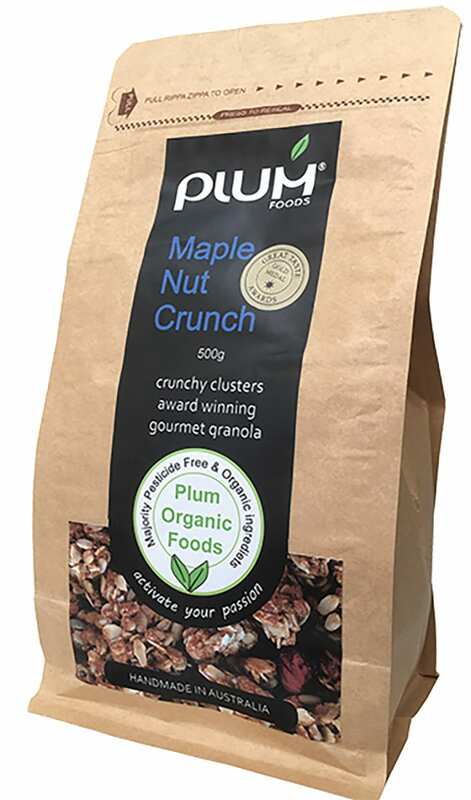 Again, the Plum Foods brands are sold in 500g and 1kg bags as well as in bulk catering packs for the famous Maple Nut Crunch. HACCP certified Private Label Foods. Our private label foods are manufactured in Australian HACCP certified premises. They will come with proper nutrition labels and place of origin images as well as bar codes. If you need a GS1 barcode for your brand we can provide that for the products we manufacture. We can also assist you with capturing your logo and label design. Also, with printing of your own branded front labels as we get a lot of labels manufactured. 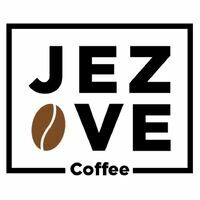 Like a Rep To contact you? Click Here Now!